– The Toronto Maple Leafs are 2-0. The Bandwagon is accepting applications from this point forward. A 2-0 opening night win against Montreal got the season off right, with James Reimer getting the shut-out and raising the hype behind his goal-tending ability even more. Last night however was a different story, as the Leafs of old seemed to veer their ugly head once again against the Senators. A 4-0 lead after 2 periods should have sealed the deal for the Blue and White, but in the 3rd, Ottawa would score 5 goals killing “Optimus Reims” shutout streak. Finishing games has been a problem for the Leafs in the past, and it can be very frustrating for the fans because it seems that no lead is ever safe with this team. Ultimately, the team is 2-0, and despite that 3rd period collapse, they still won the game. Positives in Phil Kessel’s hat trick and Reimer shutting out the Sens for 2 periods can be taken away from this effort, but there are still a lot of things the Leafs have to fix if they want to be taken seriously as playoff contenders. But you can’t get much better than 2-0 through 2 games. 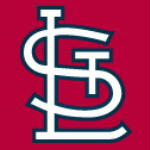 – The St. Louis Cardinals, Milwaukee Brewers, Texas Rangers and Detroit Tigers remain as the final four teams in the 2011 MLB Playoffs. Surprised anyone? I certainly am. When you think the baseball playoffs, you think Red Sox, Yankees and Phillies…..all of whom have been eliminated.The Brewers and Cardinals are both in “Win-Now” mode, since the futures of their star sluggers Albert Pujols and Prince Fielder are in question. Future playoff appearances may not occur if they leave for richer waters. The Detroit Tigers are still riding the high of their Game 5 victory in New York. Defeating the Yankees in New Yankee Stadium when everything is on the line was no easy task, but behind solid pitching against the heavy-hitting Yankees, The Tigers now find themselves in the spot they are in. The Rangers had a quiet entry into the ALCS, soundly defeating the hot Tampa Bay Rays, who at the time were still riding the momentum of their elimination of the Red Sox on the final day of the season. These 4 teams are not the kind of franchises that will draw ratings come World Series time. Outside of Pujols, Verlander, and Fielder, there are not a lot of big names remaining that draw in the casual fan. Players like Jeter, Rodriquez, Halladay, Oswalt, Ortiz, Longoria……they will all be at home watching. I am pretty sure that commissioner Bud Selig wishes they weren’t. – UFC 136 was quite the show wasn’t it? Kenny Florian continued to come up short in title fights, as Jose Aldo retained the UFC Featherweight championship via unanimous decision. Frankie Edgar redeemed his loss to Gray Maynard, and put all doubts to rest about who the best man was, as he defeated Maynard via 4th round TKO. The fight was basically a replica of there last title encounter, as Maynard dominated the first round, breaking Edgar’s nose. However, Gray decided to take the 2nd round off to prevent making similar mistakes from the last fight. The most memorable moment of the night surprisingly came on a post-fight interview from UFC loud-mouth Chael Sonnen. After his 2nd round submission of Brian Stann, Sonnen was interviewed by UFC commentator Joe Rogan. There, he made his feelings known about who he wants to fight next….. I love how Chael is treating this as if it were a WWE match. A “Loser Leaves Town” contest would just add more drama to the much anticipated Silva/Sonnen II. The only thing preventing this fight would be if Dana White were to give Sonnen one more fight ahead of time to prove his worth, possibly against Dan Henderson. Regardless, a Silva vs Sonnen rematch does seem to eventually be on the horizon, and I will be glued to my television set to see those sparks fly.